I came out in 1988, and within two years I was working as a gay-rights and -advocacy professional. I was Christian-identified at the time, and religion was central to why it took me from age 14, when I knew that I knew that I was gay, until age 28 finally to come out. I had been Roman Catholic from age 16 days until 19 years, and then I was Evangelical and Religious Right, to boot. When I took my job, both my boss and Board members of the agency I worked for made it a priority for me to learn the history of the cause I was serving, so they made sure that I knew that gay rights activism didn’t begin with the Stonewall Riots in 1969. One of the first documentaries I watched on the topic was Before Stonewall, about the ferment that began much earlier in the 20th century than the bubbling over that began on a series of high-profile nights in Greenwich Village. A few years after my agency-staffer days I met the Radical Faeries, a community of queerfolk who attributed their origins (and their name) to Harry Hay. Hay has been billed as the “the father of the modern gay rights movement,” he having founded the Mattachine Society in 1950. The founding of the Mattachine Society, likewise, was a hash-mark on the timeline of the history of BGLQT+ (I prefer to put the initials in alphabetical order) activism in the US, but it was not the beginning of it. Like major rivers that have tributaries that begin as trickles in the mountains, many movements have foundations that begin with ground broken long before most people realized that a shovel had gone in or had any idea who had wielded it. Backhoes are more dramatic than garden spades. The hash-marks that we inscribe on our timelines don’t tell the whole stories. Yet people everywhere confuse the outline with the story. Despite the fact that I have a theological-school education, I stopped identifying as Christian by the time I was 33 or so, five or six years after I came out. During those years, I continued to identify as Evangelical for a while, and it was terribly important to me, because of grief I was getting from Evangelical relatives and friends, to find support from like-minded–God-honoring–gay people. I lived in Columbus, Ohio, a town big enough, thanks, especially, to the diversity provided by the presence of The Ohio State University, to have a lot of resources to me as a gay Christian, as it had had for me as a non-gay-identified Christian. There was a Metropolitan Community Church there–an explicitly pro-gay Church founded in 1968 in Los Angeles–and an independent congregation that had splintered from it. I got involved in the splinter-group. Though I am not Christian, my husband is a Theist, and he has been active since long before he came out in an organization now calling itself the Q Network. Q Network was founded by Justin Lee and was for many years known as the Gay Christian Network. Lee is not associated with the Network any more, but he continues writing and promoting dialogue on queerness and Conservative Christian faith. In an online conversation that I watched live with my husband, a fan of Lee’s said, “You… and a few others are going to be the founding fathers and the birthing of change within the church in regards to LGBTQ.” This comment alarmed me because it leaves out at least 40 years of directly relevant history. As was the case with me when I began my tenure as a professional gay activist, I was not so much ignorant as simply unaware (which is ignorant without the judgment). Today’s activists and writers and educators are not the Founding [Fathers] of their movement. 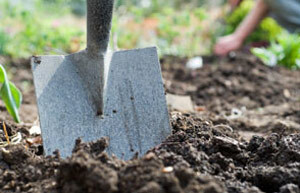 They are planting seeds in soil that has been tilled for them for a century, albeit soil that began being turned up with a garden spade long before a backhoe came along to dig out a foundation. Nobody knew then that secular activism was going to affect the Church world, but it has. It has all contributed. Because I am no longer a Theist, I am not directly interested in what the Church thinks about me, but as a religious pluralist, a person with a theological school degree, and an American citizen grateful for the Constitution, I am deeply interested in every BGLQT+ person of faith having access to completely inclusive faith community. That’s why I am grateful not only for the work being done by the Q Network but also for the work that was done in the founding of the Metropolitan Community Church, Evangelicals Concerned, and other religious organizations. All of it is important, and activists owe it to themselves and the populations for whom they advocate to be literate in all the history they can avail themselves of. I no longer consider such education to be within the realm of my expertise, but at least I can give you some clues, and the abovementioned link to Ralph Blair’s article is a good start.